Your child’s first best friend is their teddy bear. Their furry friend is there to keep them company in bed. To offer them support and comfort in times of need. To be a companion as they about their adventures. Roo has her faithful Lucy Bear. A brown bear that was bought for her from the Build-A-Bear workshop by Magic Nanny. Lucy Bear has been in Roo’s life since she was about a year old and follows in the footsteps of her cousin Charlie who also has a Lucy Bear from Magic Nanny. Lucy Bear has been through thick and thin. She has been with us on many adventures all over the UK and whilst she is looking a little tired she is a furry friend Roo couldn’t do without. I can always tell when Roo is feeling a little under the weather or tired as Lucy Bear makes a trip out of her room and follows her around the house throughout the day. Tigger doesn’t have a teddy bear as such, in fact, he has a reindeer. His reindeer is something that Mr.Boo and I bought from Harrods before he was born and I’m not quite sure how he became his ‘go to’ teddy bear. 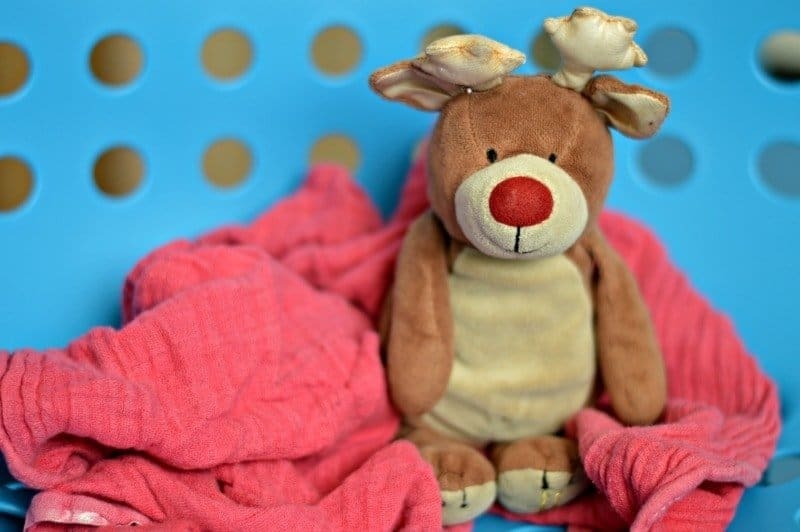 Reindeer has been with Tigger though his hospital stays, our family adventures and is always by Tigger’s side. We did have a scare earlier this year during a stay at Chessington when Tigger managed to drop Reindeer somewhere between the car and the hotel room. For one long night we thought we had lost Reindeer for good, however, someone had kindly handed him into reception. Needless to say, Reindeer is now even more special than he was before. Piglet at just nine months hasn’t quite found her teddy bear. She has a couple of teddy bears auditioning for the special role but I’m not quite sure whether we have the right one for her just yet. I’m thinking that the Silver Cross Timble Bear might be the one for her. Timble is a wonderfully soft and cuddly teddy bear, absolutely perfect for little hands. He comes in a lovely light brown knitted fabric with a delightful brown cord tied in a bow at his neck. 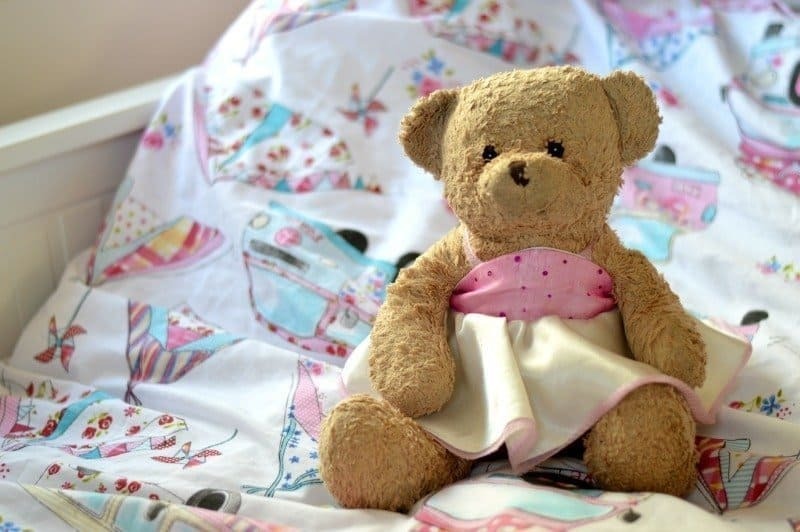 Does your child have a special teddy bear in their lives? 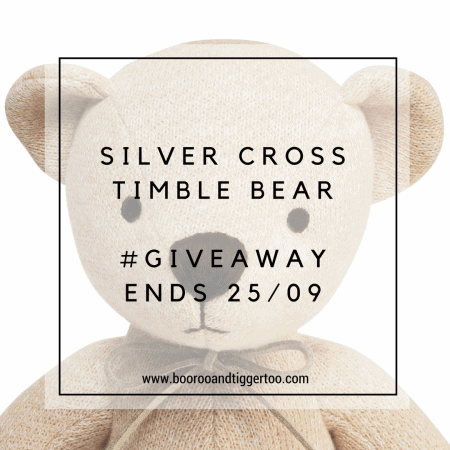 To celebrate National Teddy Bear Day, Silver Cross have kindly offered one of the gorgeous Silver Cross Timble Bears to giveaway.